Ever since I wrote the blog post 5 Sustainable Travel Products, I have taken a deep dive into sustainable travel and eco-tourism. The tourism industry is a billion-dollar industry, with millions of people traveling to destinations throughout the world year round. I became curious what hotels and resorts are doing (if anything) to be eco-friendly and environmentally conscious. To my surprise, I found 7 amazing resorts and accommodations doing impressive and ground-breaking work for the environment and striving to make their property as green as possible. Hotels built from 100% recycled material, powered completely by solar, and using only certified organic farms for their food. Not to mention, these places are absolutely stunning. This is not necessarily a comprehensive list of all of the eco-friendly hotels, resorts, and hostels out there, these are just the ones that stood out to me. If you know of or have stayed in an eco-friendly hotel, please comment below where you stayed and what you thought! This picturesque sea-side resort is located at the top of my bucket list. Located about 3.5 hours north of San Francisco, this eco-resort has beautiful guest rooms, a top-notch vegan restaurant, a blissful spa, and wilderness activities. Did I mention it is also pet-friendly? This is the perfect place to spend a long romantic weekend in the wilderness. Eco-Friendly Amenities? On-site organic garden, plant-based restaurant Ravens, built with sustainable materials, all food waste is composted, refillable water bottle stations, and eco-friendly spa products. Book your stay at The Stanford Inn HERE. Book your stay at Sadie Cove HERE. Hidden in the Simien Mountains lies the Limalimo Lodge. Ethiopia is a top destination for me because everything I've read and heard makes it sound like a magical place full of kind-hearted people, delicious food, and spectacular landscapes. The Limalimo Lodge capitalizes on all of those by offering a wide variety of activities all of which directly benefit the community and environment. The most notable activity is exploring Simien Mountain National Park, which was listed as a UNESCO World Heritage Site in 1978. Price? Prices vary throughout the year from $150-$460 USD. Book your stay at Limalimo HERE. I love Scotland and am always looking for a way to return. Jessie Mac's Hostel is my newest excuse. To be honest, while doing research for this post, hostels did not even cross my mind. Jessie Mac's mission is to be the greenest hostel in Scotland and it looks like they have achieved just that. The hostel, located in Perthshire, Scotland, offers dorm, private, and family rooms in addition to standard hotel amenities (kitchen, bathrooms, etc.). Eco-Friendly Amenities? Constantly reducing the amount of energy, recycling 90% of waste, purchasing fair-trade products, and supporting the local economy whenever possible. Book your stay at Jessie Mac's HERE. The Barefoot sits on the north end of the Maldives, about a 45-minute flight from Male. The beach-front property boasts stunning views, a pure, tranquil environment, and eco-friendly amenities. I have my eye on their incredible beach-front rooms that have direct access to the white sand beaches the Maldives are known for. Eco-Friendly Amenities? The Barefoot follows strict guidelines to ensure their resort is as eco-friendly as possible. 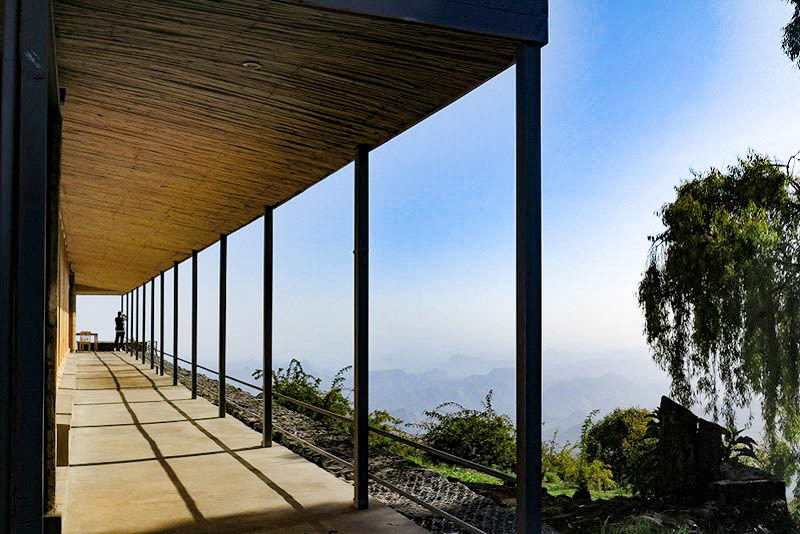 Sustainably grown and sourced wood, solar power, and a full Conservation Center to educate tourists on ‘responsible activities’ just to name a few. Book your stay at The Barefoot HERE. Vale Do Rio was originally built because of the existence of hydro-power infrastructure at their location. The property has turned into a beautiful eco-resort with rooms overlooking the Caima River, a Four Seasons spa, and a restaurant that serves local cuisine. The biggest surprise when researching this eco-resort is how affordable the rooms are. You don't have to sacrifice budget for sustainability. Book your stay at Vale Do Rio Hotel HERE. As if I needed another reason to go to Tanzania! The Chole Mjini is a tree-top resort that offers stunning views of Chole, an island off the East coast of Tanzania. It does not sound like the easiest resort to get to, but it comes highly rated from previous guests. The resort has no electricity, no roads, no cars, and no cell phones. Ok, so it might sound like a nightmare to some but it sounds like pure bliss to me. Take time to relax, listen to nature, scuba dive in the exotic waters of Tanzania, and explore the local village. Book your stay at Chole Mjini HERE. That's it folks. My top seven picks for eco-friendly resorts around the world. By no means are these the only ones out there. There are actually hundreds. I commend all the resorts and accommodations for doing great work to make the world and hostility industry more environmentally friendly.